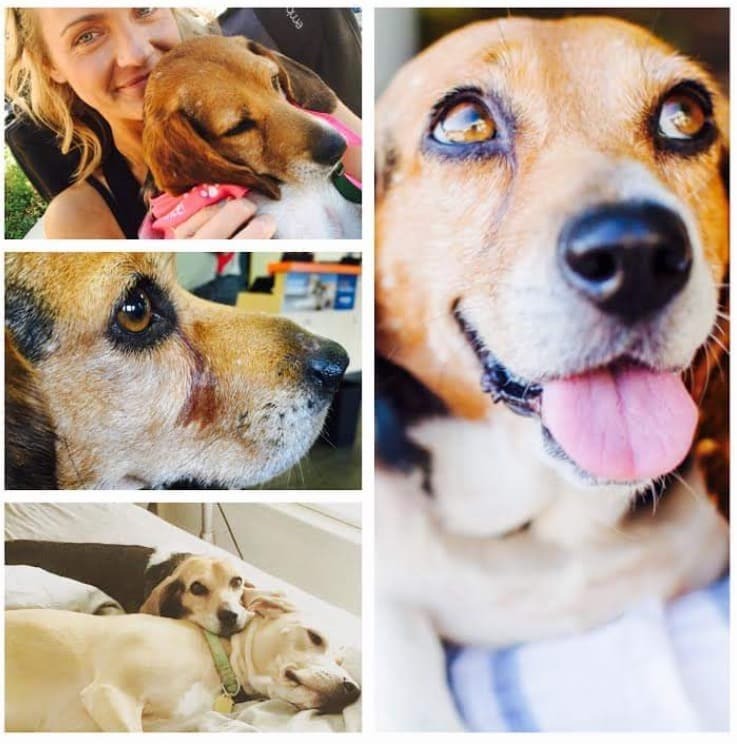 Jaclyn is from Apex, NC and she has been fostering beagles with TBR for 6 months. “We rescued our dog in late 2014 I never knew how much love one little animal could bring my family and me. She is full of love and brings a smile to our faces every day. We rescued her 2 days before she was going to be put to sleep, she was only 8 weeks at the time. Experiencing the love our sweet Dowdy has brought us made my husband and I want to get involved and help these sweet dogs who are being abused, neglected or in kill shelters. Each one of our fosters has touched our hearts and seeing them go to loving homes is the best gift a person could be given. Our current foster Joplin came to us scared with tears in her eyes, she was abused, left outside with 25 other dogs in a small pen and used for breeding, which caused her to have severe infections. Joplin spent her life before TBR taken care of her multiple puppies and never had anyone looking out for her. Seeing her play, cuddle and wag her tail is such a fulfilling reward. She is happy and loving now and hopefully with time will forget about her life before TBR came to save this sweet little girl smile emoticon! Jaclyn Sallee recently adopted her beautiful foster JOPLIN and made her a cherished member of her family!